Affidavit of Support | Immigration Attorney Fort lauderdale, FL - Miami, FL Adam Franzen. P.A. 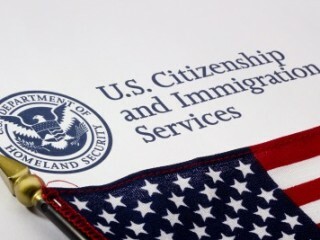 On July 21, 2006, the Department of Homeland Security, United States Citizenship and Immigration Services (USCIS) changed the guidelines regarding affidavits of support. With the new guidelines, an Affidavit of Support shall be filed on behalf of the intending immigrant in family-sponsored and certain employment-sponsored applications for permanent residency. The Affidavit shall provide that he or she can meet at least 125 percent of the current federal poverty guidelines for the household size. This rule change applies to all adjustment of status applications that were pending on July 21, 2006 regardless of whether they were filed previously. The changes in the rules have provided who needs an affidavit of support, how sponsors qualify, what documentation and information shall be provided, and when the income of other persons may be used to support an intending immigrant’s application for permanent residence. The rule changes also provide that it is the sponsor’s income in the year in which the intending immigrant applies for an immigrant visa or adjustment of status application that is to have the greatest evidentiary weight in finding whether the affidavit of support is then sufficient. Basically, the final rule provides greater emphasis on the sponsor’s current income as opposed to the income provided on the sponsor’s prior tax returns. However, the tax forms for previous years serve as a signal of the sponsor’s ability to provide that income over time. If more than one year has passed since the submission of the Form I-864, the final rule provides the Department of State officer, immigration officer, or immigration judge the discretion to ask for more current information if the adjudicator finds that additional evidence is necessary to the proper adjudication of the cases. Form I-864 and Form I-864A have been adapted under the final rule. USCIS has further adopted two public use forms to conform with the requirements of the final rule. These forms do not need to be notarized or signed before a consular officer. USCIS designed Form I-864EZ, EZ Affidavit of Support under Section 213A of the INA, for use by a sponsor who relies on their own employment to meet the income requirements under the Act and the final rule. I-130 petitioners who are sponsoring only one beneficiary can only use form I-864EZ. An intending immigrant uses Form I-864W, Intending Immigrant’s I-864 Exemption, to establish that a Form I-864 is not necessary in their case. It will only be necessary for a sponsor to submit one Federal tax return, for the most recent tax year. A sponsor may, at their option, submit the sponsor’s or household member’s Federal income tax returns for the three (3) most recent years if the sponsor believes these other tax returns may assist in establishing the sponsor’s ability to maintain their household income at the necessary threshold set forth in the Poverty Guidelines. If the sponsor has not filed their tax return for the past year, they must substantiate that there was no legal requirement to file such a return. The final rule also provides that either photocopies or IRS-generated transcripts of the required tax returns can be supplied by the sponsor, substitute sponsor, joint sponsor, household member, or intending immigrant. Along with the transcripts or photocopies, the sponsor, joint sponsor, household member, or intending immigrant shall provide copies of all Forms W-2, Forms 1099, and schedules. The new rule clarifies that the sponsor, in addition to himself/herself, must provide the following information regarding persons (even if these persons do not actually have the same principal residence as the sponsor): any spouse, any dependent children under the age of 21 and any other dependents provided on his/her most recent federal tax return or persons being sponsored in the affidavit of support and any immigrants formerly sponsored with a Form I-864 and Form I-864EZ that the sponsor is still compelled to support. The new rule provides for flexibility in the definition of “household size”. The old rule defined “household size” too generally; since all related people at the same residence would be considered in the household, even if they were, in fact, separate economic “households”. The final rule allows the sponsor to meet the necessary income requirements by including the income of additional relatives such as parents, siblings or adult children, as long as these individuals sign Form I-864A in which they agree to use their income and resources in support of the intending immigrant. The final rule allows the income from the intending immigrant to be combined with the sponsor’s income. The intending immigrant, unlike the other relatives, is not required to complete Form I-864A unless the intending immigrant has a spouse or children immigrating with him or her. The purpose of the “significant assets” requirement is to make certain that a sponsor whose income is insufficient will nonetheless be able to provide additional support until the sponsorship obligation ceases. The old rule required the sponsor to provide that he or she has assets five times the difference between the federal poverty line and the actual household income. The final rule modified the “significant assets” requirement a little. If the intending immigrant is the child of a U.S. Citizen or spouse (but the child has already reached his or her 18th birthday), the “significant assets” requirement will be met if the assets equal three times the difference between the federal poverty line and the actual household income. A joint sponsor may provide a separate form I-864 in that the petitioner and primary sponsor cannot meet the income requirement for the household size. The final rule only provides for a maximum of two joint sponsors to support different family. Pursuant to section 213A of the Act, all of the sponsor’s requirements under the affidavit of support cease once the intending immigrant has worked, or can be credited with, forty (40) qualifying quarters of coverage under the Social Security Act. Under the new rule, if the intending immigrant can provide, on the basis of records of the Social Security Administration, that he or she already has, or can be credited with, the necessary quarters of coverage – the intending immigrant is exempt from the Affidavit of Support requirement. If a United States citizen is sponsoring a minor child for lawful permanent residency, that child would qualify for citizenship under Section 320 of the Immigration and Nationality Act. Moreover, if the child becomes a citizen automatically, upon his or her admission or adjustment of status, there is no requirement to submit an affidavit of support. Self-petitioning battered spouses as well as self-petitioning widow/widowers are also exempt from I- 864 requirements.